Buying a pickup truck can be one of the most confusing vehicle purchases you will ever make. Not only is it difficult to choose a single make and model to buy, but the various configurations and options can be enough to make your head spin. 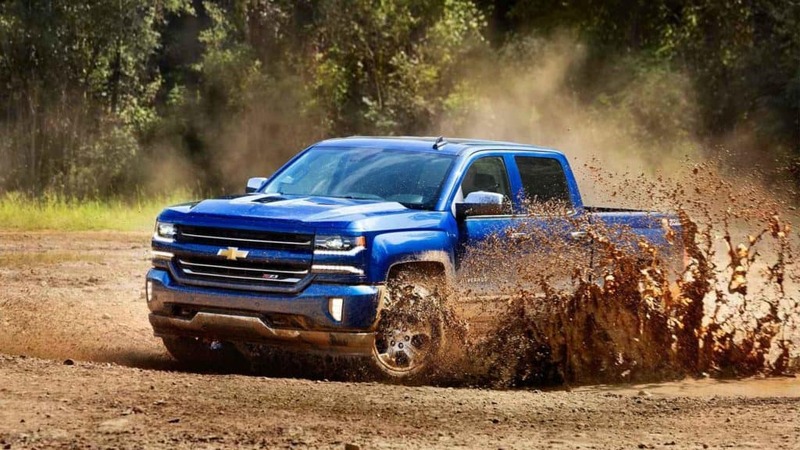 Whether you have owned new or used trucks in the past, or are considering your very first pickup purchase, it is important that you know what your various options are, and what they actually mean. To help your used pickup search go as smoothly as possible, we have created this easy to follow guide that will give you insight into what the different configurations mean so that you can choose one that is right for you. Rather than wait until you are faced with a purchase decision on the showroom floor of a pushy used car dealership, know what you want ahead of time. The different terms and definitions can be hard to understand, and unsavory used car dealers prey on buyers who are ill-informed. Take a step to not only protect yourself but one that will also provide you with the knowledge you need to buy the perfect used truck of your dreams. You Want a Large Passenger Cabin: If you have a growing family, or you regularly entertain clients in your vehicle, then choosing a truck with a large interior cabin is your best bet. If you want a full-size passenger cabin, then look for trucks offered with either a Double Cab, Crew Cab, or Extended Cab option. These trucks tend to offer four full doors and the same interior space as a crossover or a large sedan. These pickups can seat up to six total passengers, which is the perfect solution for those who want a large passenger cabin. You Need A Large Bed: Most vehicle manufacturers offer three different bed sizes within their pickup truck lineup. The shortened 5-foot-8-inch bed, the regular 6-foot-6-inch bed, and the extended 8-foot bed. The availability of each of these is typically dependent upon which cab size you opt for, so it is important to research the specific make and model you want to buy, prior to deciding which one you will end up with. Some brands will not configure crew cabs with large bed sizes and vice a versa. Know what you need, and research which brand is able to provide it for you. You Want Upgraded Amenities: Pickup trucks have traditionally been lacking in the amenity department. Luckily, today’s trucks are teeming with exceptional features that are on par with some high-level luxury sedans. If you want the most up to date technology and safety features in your pre-owned pickup, be sure to find models from recent years. For example, the first ever pickup to offer adaptive cruise control technology was the 2015 Ford F-150. Other brands took a year or more to follow suit. If upgraded amenities and tech is important, look for new-to-you trucks from no earlier than 2015. You Need Power: If you need your pickup truck to be a powerful performer both on and off the road, you aren’t alone. The vast majority of pickup truck buyers are seeking a truck that is capable of performing as well off the road, as it does on the road. Aside from off-road prowess and on-road function, buyers looking to buy a used pickup are usually looking for options with high tow ratings. The segment is full of great options when it comes to towing capability, but it is crucial to figure out the extent of towing that you will need, prior to making a purchase decision. Midsize trucks like the Colorado can be a great way to save you money at the point of purchase, especially if you will only need to do light-duty towing. The 2015 Colorado can tow up to 7,000 pounds, a rating that is perfect for recreational boaters, or individuals needing a truck that can haul snowmobiles and other small items. If you need the most extensive towing capacity available, then take a look at heavy-duty pickups like the Silverado 2500HD, which can tow upwards of 24,000 pounds with ease. Regardless of whether you need to tow a couple of jet skis up to the cabin, or the entire cabin itself, there is no better vehicle for the job than a dependable pickup truck. You Want a Top Tier Trim Level: If you are into the finer things in life, you aren’t alone. The pickup truck segment is growing rapidly in the luxury offerings department, with more high-end amenities available than ever before. Pickup trucks nowadays offer numerous trim level options, as well as special editions to sweeten the deal even further. While you will certainly pay more for these luxury trucks, they will end up costing much less than if you were to purchase them brand new. Top tier trim levels are definitely worth considering, especially if your budget has more of a “give” than otherwise. Just because your truck is practical, doesn’t mean you should sacrifice the finer things in life. Here at DePaula Used Cars, we offer an extensive selection of dependable used pickup trucks, sure to tick off all the boxes on your list of wants and needs. There is nothing more financially sound than investing your money in a reliable used truck that will save you money from the moment of purchase. Be sure to check out all of the incredible pre-owned pickup truck options available now at DePaula Used Cars, and come down to see all of the available trucks for you to buy.